You better start using your iphone, it can be used as a good English language tutor. 6310 is a HISTORY ! jim, 22 Nov 2009this was a phone for business during those days. It was a serious pnone. My rating for this... moreput some paper between batery and sim to not turn off.put paper until the batery it is fixed . 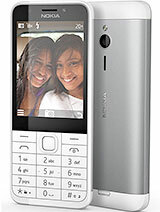 One Of The Best Fone From Nokia. I'm ENVY That Many Of Them Still Enjoying This Great Fone. this is a great phone and all of aur family still own one and we use them all the time all tough we also own a iphone i no big change but we are all not so shure so kept with the nokia and the iphone is an alarmclock as far as we are conserend trhat is the best use for it and it keeps it working and not compleatly wasted cus dat would be an awfull shame!!! it was expensive!! Bill, 07 Nov 2009I guarantee you any phone this old, the battery is pretty much a gonner. Unfortunately for you... moreSome people are happy with just making calls and texts. Just because this phone doesnt have most of the features that the modern phones does, it doesnt mean its c**p. This phone will out last any modern phone created today. And any way who cares!!!! Each to their own. It's a classic, I get a second look and a smile from people around me whenever I use it in public. You guys are right the new phones are built not to last by manufacturers so you will have to change your phone every 1 or 2 years trying to find the best quality and features, unfortunately it's improbable that you will find one. It's a conspiracy by these retail giants,their old designs are much much better. this was a phone for business during those days. It was a serious pnone. Colour Screen: Obsolete Dim Monocrhome Screen which NO ONE uses anymore. Intituitive User Interface: Maybe, in 2001/2. Certainly not now. OS/Third Party app Intergration: Practically closed source and out of date OS, No! This can go on forever to highlight just how out of tune this is today. This does not meet the needs of the audience it was targeted for anymore, times change and clients demand more features that are up to date to adapt to thier lifestyle and the rapid change of technology. You, are seriously out of touch AND date much like this handset is. I agree. I had a phone like this one and I could say it's probably one of the best Nokia phone ever made. Anonymous, 11 Oct 2007the nokia 6310 is the absolute worst phone you could ever possibly buy. it gets bugger all sig... moreYou are not convincing anyone mate, sorry. Everyone knows it is one of the best models ever produced. I still have my original 6310i from 2002 ... it still works well and has outlasted three other phones. Now on my second battery.